MDPen in New Beauty Magazine! MDPen / Blog / MDPen in New Beauty Magazine! 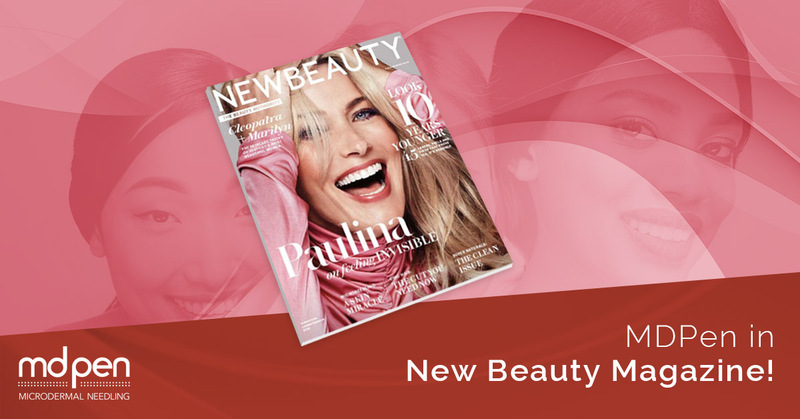 The Fall/Winter issue of New Beauty is featuring a “Guide to Microneedling” in which they cover most aspects of the our favorite treatment! In their section on “In-Office Microneedling,” they cover an interview with Dr. Debra Abell, dermatologist from Wexford, PA, in which they discuss the value of medical grade needling in a clinical setting as opposed to rollers or other implements. The Guide goes on to explain how pairing microneedling with PRP, RF or other add-on treatments can enhance the outcomes. Pick up your latest New Beauty and flip to page 63 to see the entire report! Find an MDPen MicroNeedling practitioner near you!